Obituary for Tammy Lynn (Combs) Stevenson | Wellman Funeral Homes, Inc.
On April 2, 2018 surrounded by her family Tammy Lynn Combs Stevenson born September 27, 1969 went home to be with the Lord after fighting an illness for several years. She was a beautiful woman whose faith in God over powered any obstacle she faced. She had the most forgiving heart and accepted everyone for who they were. She loved to make people laugh, her smile would light up any room and her laughter was contagious. Her love for her family was unfailing. 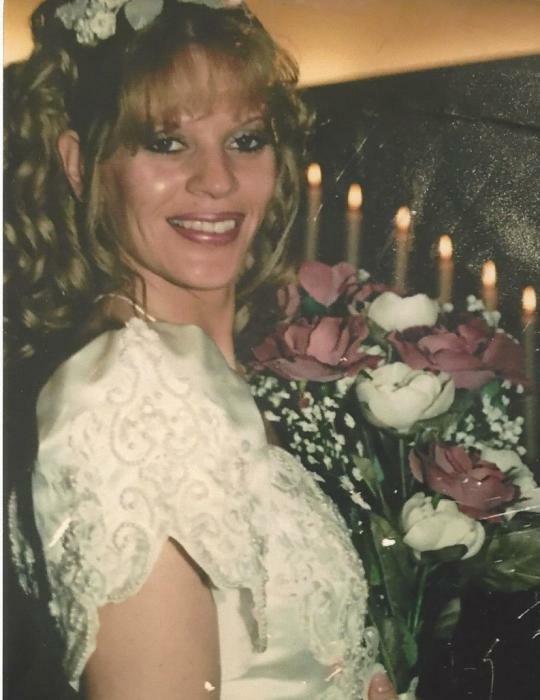 Tammy loved to sing and spend quality time with loved ones. She was a member of World Harvest Church and sang in the choir for some time. She was a faithful Christian and had a strong relationship with God. She was always speaking in scripture and spreading the word of God. Tammy loved reading her bible underlining and highlighting every scripture that spoke to her. She left an everlasting impression on anyone she met. She loved her family, children and grandchildren with her entire being. Tammy attended Harding high school in Marion, OH. She went on to graduate from Technology Education Center in 1996 as a Medical Assistant. She worked at many facilities and loved her job at Riverside Methodist hospital. It was just in her spirit to nurture and care for others. She was preceded in death by her father Elbert Combs, her mother in law Betty Stevenson and her husband Robert Stevenson. Tammy is survived by her mother Glorystein Combs Roberts (Wayne Roberts) her father in law Bruce Stevenson. Her Daughters; Kristin Ervin (Caleb Coleman) Alecia Pryor (Chance Evans) Jaymee Pryor (Dylan Waite) and Stephenie Pryor. Her siblings Kimberly Fields Iles (Scott Iles) Elbert (Boo) Combs (Shannon Parker) Christy Lemasters (Walter Lemasters) Her grandchildren Mya Danforth, Miranda Danforth, Kiley Coleman, Cadence Coleman, Andrew Pryor, Rylee Ford and Alaynnah Ford. Her nieces and nephews Angela Moore (Chad Moore) Gloria Hunt (Jesse Hunt) Kurtis Combs, Kyle Combs, Kimberlynn Brown, Wesley Lemasters, Robert Nelson, Elizabeth Nelson, Reva Fulk and many cousins including Janet Slone Yonts. Tammy was loved by many and will be forever remembered and missed. There will be a memorial service held at Wellman funeral located at 1455 N Court St, Circleville, OH 43113 on Wednesday April 11, 2018 starting at 11:00am. In lieu of flowers donations can be made to Wellman Funeral Home.